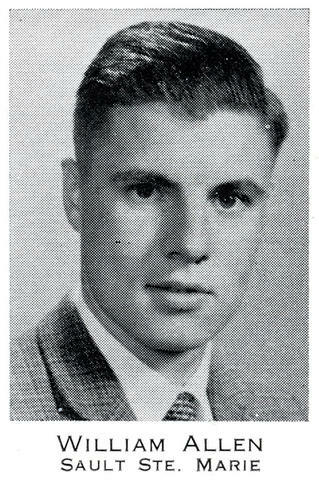 Bill Allen was a student at North Bay Teachers' College in 1961-1962, and a teacher. Prior to its donation, the cardigan was in the custody of Bill Allen. The image linked to this description (bill_allen_1961-1962.jpg) is a portrait of Bill Allen from the North Bay Teachers' College 1961-1962 yearbook, page 11.